Thanks for visiting our website. We are waiting for your call so that we can help you out with all of your cleaning needs. We look forward to prove to you that we are the best cleaning company in Texas. All you have to do is pick up the phone and make the call so that we can prove ourselves to you. Do you have any helpful hints to add? Let us know what works for you and your upholstery! we want to be 100% positive you'll be delighted with the results. Thanks for checking us out! If you are looking for a service provider that cares about your upholstery and not just cleaning it then you are in the right place. We have the experience to restore your upholstered furniture to its original luster and extend its lifespan. 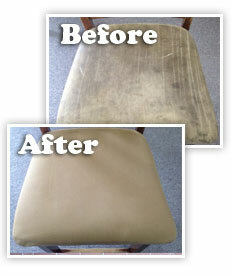 We have organic cleaning methods for all type of upholstery. Our qualified technicians may recommend enzyme injections to soften stains that have penetrated fabrics. Dry-cleaning services may be necessary to appropriately address upholstery and other cleaning issues. We are available and only one phone call away. We offer cleaning your antique leather furniture, dining chairs and arm chair recliners since it is well equipped with the latest in the carpet and upholstery cleaning technology - Truck Mounts. In addition to its highly trained and experienced personnel, the firm will present you with the best cleaning services whether it comes to vacuuming, shampooing, sanitizing, or deodorizing. We provide both residential and commercial cleaning services. We are fully equipped to perform the proper cleaning services that you require. Please be sure to check out our services page to view all that we can offer you. We are the region's first choice. Let us give you a free cleaning estimate.